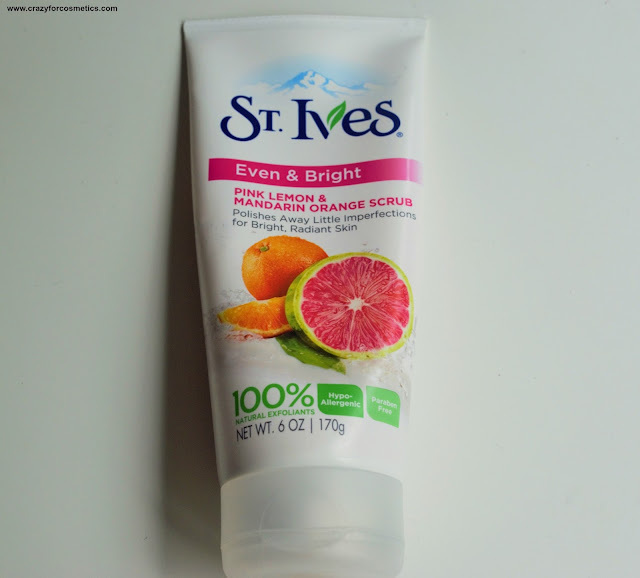 Though I usually use scrubs from Himalayas and other brands like Jovees , St.Ives will always be special for me as it was the first ever scrub that I have used in my life. One of my relatives had got St Ives apricot scrub from from Dubai I guess and I was so excited to try it out. 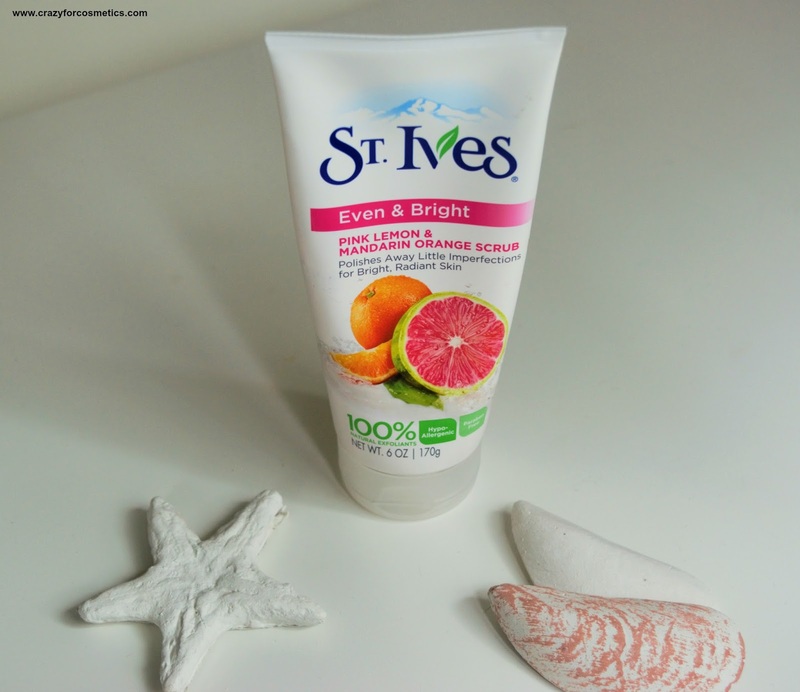 Mustafa Trading in Singapore has almost any brand that you can think of & I happened to spot the St.Ives brand yet again and I was lured by their another variant - Even & Bright Pink Mandarin Orange Scrub. My husband and I have been using this for a while now and it has been working fine with our different skin types - oily & dry respectively. 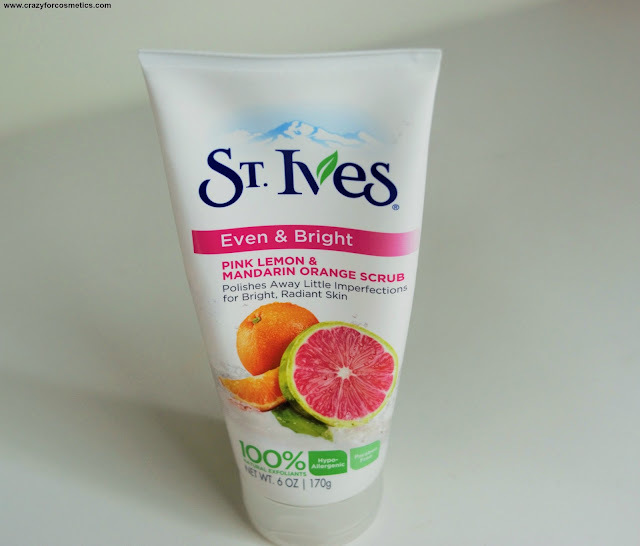 From America's #1 Scrub brand*, the new Even & Bright scrub with Pink Lemon & Mandarin Orange gently polishes away little imperfections. Skin is left brighter and visibly even-toned. The scrub comes in a white plastic tube which is quite big and sturdy. The lid sits tightly on the tube and we do not have to worry about leakage while storing it. The packaging looks quite attractive with Pink & Green prints on top of the white tube. 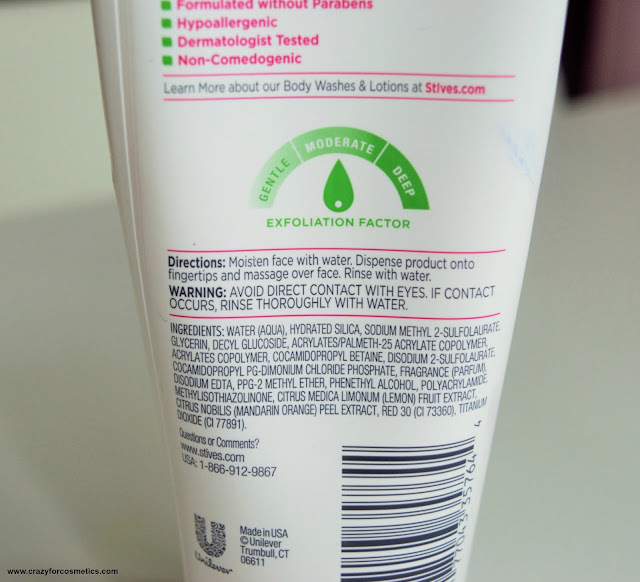 The scrub is white in color with pink exfoliating granules which looks bright & attractive. The scent of the scrub is very refreshing and is a mixture of citrus & perfume, but at the same time not very overpowering.The texture is quite creamy with the exfoliators uniformly distributed and providing good exfoliation once used. The particles are not very rough & the scrub has a moderate scrubbing action as indicated on the tube.Though the texture is creamy, it can sometimes dry out your skin if you have dry skin like mine, especially around your nose. For sensitive & dry skin, you can limit this scrub's usage once a week and follow up with a moisturizer. The exfoliating particles move uniformly with the scrub and is easy to wash them off with just plain water.It is really good that the scrubbing action is indicated on the tube , so that we can pick up the desired one according to our skin type. I use this on my face thrice a week and follow it up with a toner so that my pores get closed. My face looks bright & clean post usage and I love how fresh I feel due to the presence of Lemon & Orange in it. I did not find this useful in removing tough blackheads but on a weekly basis, this would work as a good pore cleanser. For those who seek a tougher exfoliator, you can opt for the Apricot one which can be used weekly thrice. Price : SGD 8 or 9, I am not too sure of the price I paid. 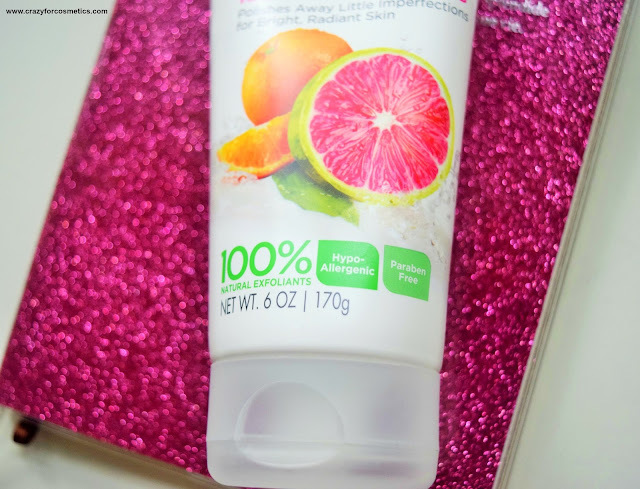 On the whole, it is an affordable scrub that works decently well by clearing out your face & gives a fresh feel. The scrub is Paraben free , which is some good news for those particular about it.It is not something very great when compared to the Apricot variant and can sometimes dry out your skin. Those who have dry skin, try to limit the usage to once or twice a week.